"Up to 41 new patients a month!" generated $32,000 for the practice." about 20 new patients per month." a 114% increase in business." ROI over my other marketing investments." campaign brought in 226 referrals." "We have had a flood of new patients!" contacts in just one month." Each dental website design is specifically targeted at a particular dental market – family, cosmetic, implants, braces, etc. 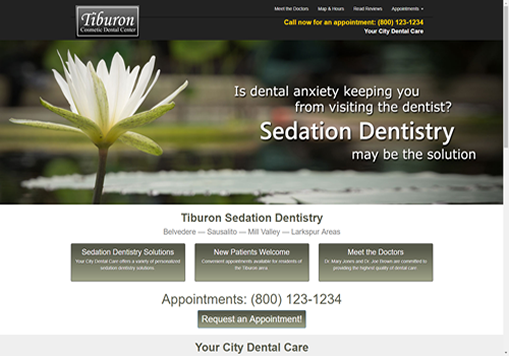 — making it easy for dentists to maintain several targeted websites at once. 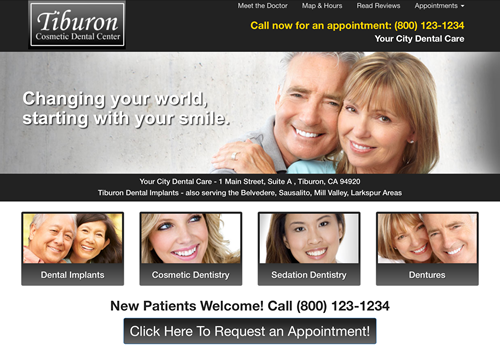 You can select your dental web design from over 500 options. After making your selections, you can publish your fully optimized dental website in less than 5 minutes and start attracting new patients to your practice. Dentists have a variety of options to customize their dental websites to fit their practice, as well as attract new patient leads that maximize profits with just a few clicks of the mouse. 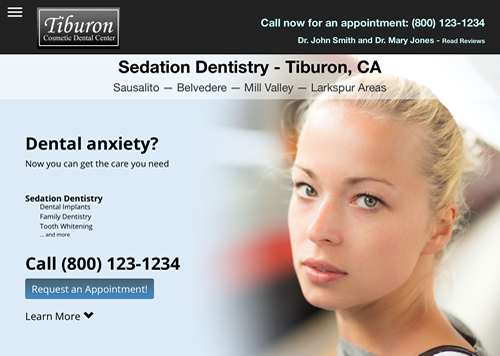 For example, a dental practice can further customize their website design choice by changing virtually all the images to anything in the built-in image library or to their own images that they have uploaded to their image file locker. Dental websites from Internet Dental Alliance, Inc. (IDA) are designed to be easily set up and generating new leads within minutes. But if help is ever needed, it’s good to know that it’s available 24 hours a day, 7 days a week – whether it’s by phone, email or online video tutorials. Any dental website design changes you make in the LeadFire Control Panel will be reflected on your live site almost instantly. You can continue to make changes using your Control Panel until you’re 100% satisfied.